Do you have kids of various ages? Can't decide which films to see? 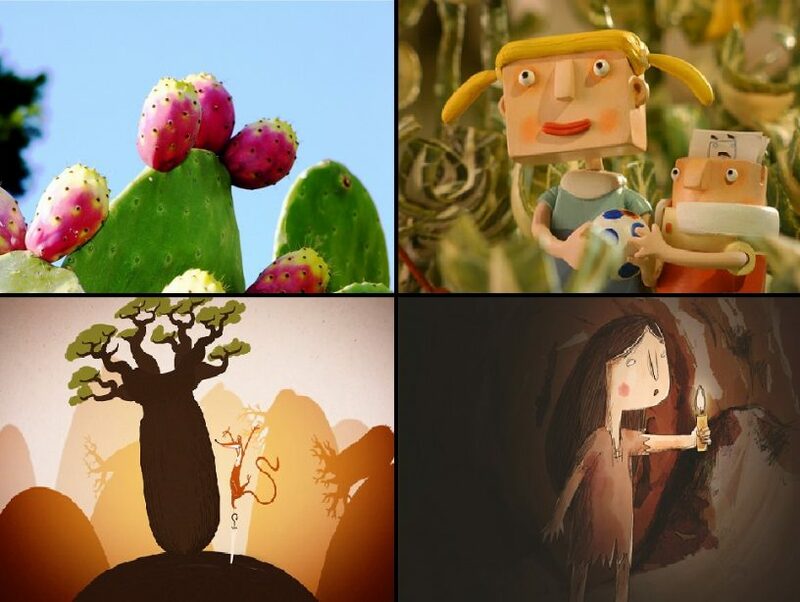 Then bring your whole family and come explore short films from across the EU! No film is longer than 20 minutes. Feeling guilty that he told his sister she could eat the prickly pears that were meant for his grandmother’s birthday, a boy embarks on a mission to secure replacement fruit. But finding the fruit during the offseason isn’t as easy as he expects, and his quest to right his wrong means quite a distance to travel. The transfer of experiences between mothers and daughters, as if it were a diary, the memory of an experience passed on, the indispensable embrace, the deep sense that allows us to take steps forward and continue to love. The "Idalecio" family is close to imploding emotionally. During the weekly Sunday drive all falls apart. It starts with a claustrophobic car trip through town. Nagging children, football on the radio, a mother in law with a sharp tongue, a new pregnancy. It is a day that will turn their lives around. An anti-Sunday. Sunday Drive is Jose Miguel Ribeiro's second film after his much awarded short 'The Suspect'. Weasel roams a dreary land hungry, then walks upon the last tree standing, kept alive by a flock of mocking birds. The birds are what keep the unstable tree in balance. Weasel tries to climb up the rocking tree, but luckily for the birds, this takes obstinacy and many unsuccessful attempts. A second screening will take place October 28 at 1pm, at the Montgomery College Cultural Arts Center. Listed separately.